RUN, JOB OR JUST WALK YOUR DOG as we join together to support Diabetes Awareness, Education and Research. The Expo will feature local businesses dedicated to educating and helping those with Diabetes, vendors who provide diabetes related treatment programs and more! 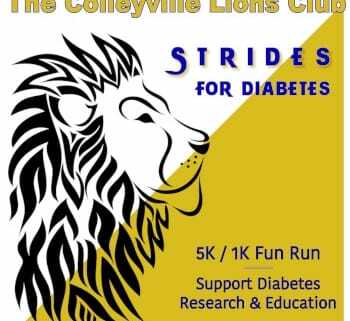 Funds are raised through runner registrations, sponsorships and vendor donations will be used to support Texas Lions Camp, Camp Sweeney, Leader Dogs for the Blind, JDF, Vision and Diabetic screenings in our community and Colleyville Lions charities serving those with Diabetes and relation health issues related to Diabetes. Join us for a fun-filled family morning!